Last week we held a poll asking for YOU to choose the best HIM songs ever. Not an easy answer, we’re sure you’ll agree. 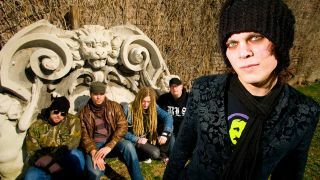 Over their 26 year career, Ville Valo and his merry men have released eight studio albums, creating some seriously dark and emotive art in the process. From the poppier end of Deep Shadows And Brilliant Highlights to the monumental Love Metal, the Finns have spread themselves across the pitch black landscape of love, loss and heartache. But which song came out on top? Well, according to Metal Hammer readers, the greatest HIM song of all time is… Sleepwalking Past Hope! Taking from 2007’s Venus Doom album – a record Ville describes as his nod to bands like My Dying Bride and Paradise Lost – it’s a 10-minute opus that perfectly captures this love of doom and bands like Cathedral. You can read the world-exclusive final interview with HIM’s Ville Valo in the latest issue of Metal Hammer – on sale now. Buy it directly here or become a TeamRock+ member to read it right now.